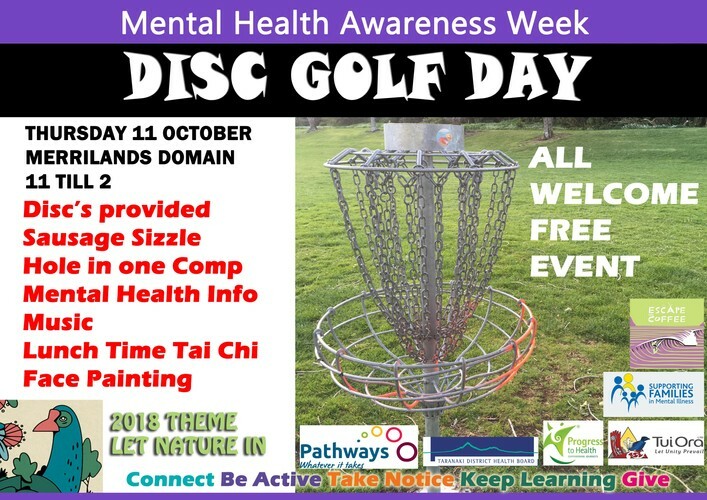 A chance to connect, be active and give Disc Golf ago in a lovely park location. Support and information onsite from local mental health providers. A sausage sizzle, Tai Chi, face painting and music also going on. A free event and open to everyone. Any questions call Sam Heath 0272772327. See you there!